Loving Care™ blend was specifically formulated with expecting mothers in mind with constituents meant to boost to the immune system and aid the muscles of the reproductive system during pregnancy and childbirth. 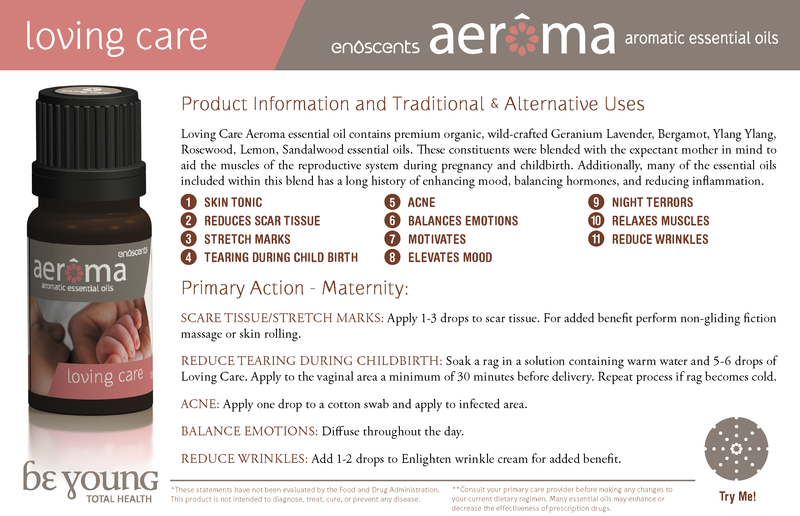 Customers have also credited Loving Care™ with soothing the symptoms of endometriosis. Apply 2-5 drops directly on the uterine area and bottom of the feet. Use a warm compress with Loving Care™ to help soothe uterine cramps and contractions.